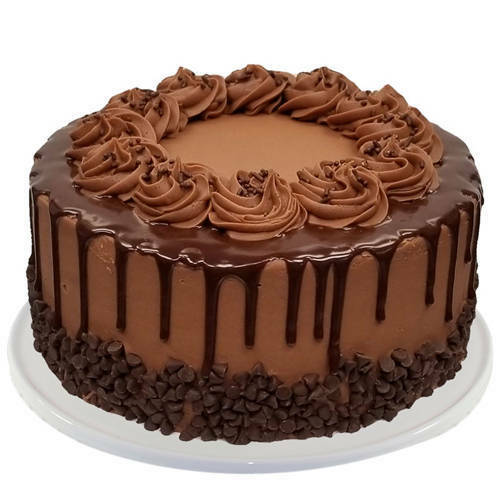 Send this Sweet 2.2 Lbs Chocolate Cake from Taj or 5 Star Hotel Bakery to you dear ones and let them fill your longed-for presence. Greet your dear ones with this Wonderful Mixed Flowers Bouquet with 1 Kg Chocolate Cake from Taj / 5 Star Hotel Bakery and make them feel special, loved and lucky. Special gift for special people, this gift of Heavenly 24 Red Roses with 1 Kg Chocolate Cake from Taj / 5 Star Hotel Bakery renders your loved ones with all the happiness they deserve. Send this Favorite 2 Kg Taj or 5 Star Hotel Bakery Chocolate Cake and convey the wholesome celebration greetings to your loved ones.